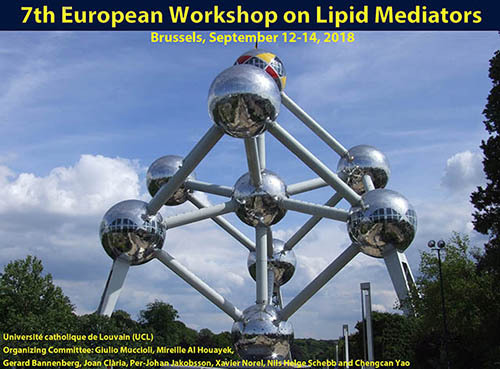 of the 7th European Workshop on Lipid Mediators! This biennial workshop is primarily addressed to scientists interested in the field of bioactive lipid mediators. Scientists from across and outside Europe will share their expertise on the biochemistry, molecular biology and physiology of lipids as signaling molecules, as well as their involvement in inflammation, and their specific roles in several disease conditions. The workshop has two main goals: 1) to bring together researchers to discuss the most recent results and developments in this expanding area; and 2) to promote interaction and exchange of ideas among the different laboratories. We especially welcome students and postdoctoral scientists to attend this workshop, and a special session will be devoted to them. 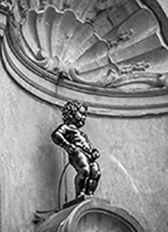 NEW: The titles of selected abstracts for talks are now posted. Previous editions of this workshop were held in Barcelona in 2006, Valladolid in 2008, Paris in 2010 and 2012, Istanbul in 2014, and Frankfurt in 2016.